A charter for Glen Eden? Home / Affordable Housing / A charter for Glen Eden? I have had a law practice in Glen Eden now for over 30 years. I chose to set up there because the place really appealed and I lived nearby. It was relatively inexpensive, not too flash. And there was a real sense of community and the area was full of good natured down to earth people. I am very conscious that it is changing. It used to be a place where factory workers and trades people and nurses and teachers could afford to own their own home and raise their kids in relative comfort. The Local Board commissioned a report from David Kenkel and David Haigh at Unitec to help us understand how Glen Eden was changing and the implications of this change for the area. The intent in commissioning the report was that it should make recommendations about how change should be managed. I recommend that if you have not already done so you read it. The report can be downloaded here. One recommendation that I am keen to progress is the proposal that there be a Glen Eden charter, which sets out various principles including quality urban design, and social, cultural, economic and environmental principles for decision makers. I thought that discussion about what should be in the charter should help us understand the values that are important to Glen Eden and what we want Glen Eden to look like in the future. Here is the draft charter. I would be happy to receive your feedback. Mission: A sustainable Glen Eden that moves confidently to the future. Challenges: Glen Eden will face a number of challenges including managing greater levels of urban intensification and upgrading of the town centre. 1. The WRLB will encourage public transport, walking and cycling. 2. Improvements to traffic safety will be ensured. 3. A review will be carried out of Glen Eden’s infrastructure requirements as a result of planned intensification (e.g. water, sewerage and storm water). 1. The impacts of greater intensification can be mitigated through good design that includes the use of noise reduction materials, energy-saving through having a northerly aspect, passive surveillance of common and public areas, and privacy. 2. Promote a variety of affordable housing including single dwellings, apartments and townhouses, that meets a required standard of construction. 3. Intensification will also require consideration of access to services, both public and private. 4. 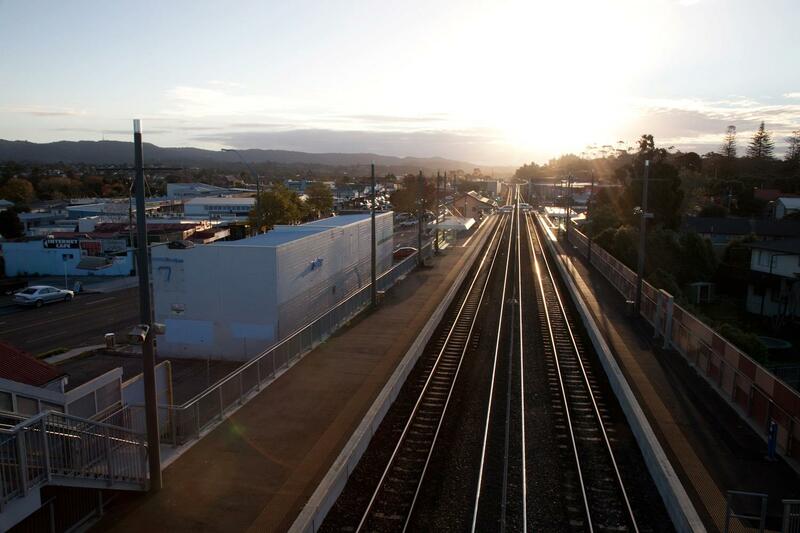 In the upgrade of the Glen Eden town centre, consideration will be given to greater levels of pedestrianisation, improved access for older people and people with disabilities, new parking arrangements, public spaces that can be used for community events, facilities for children and indoor facilities for public gatherings. 5. Protect the physical form of Glen Eden that has heritage or historic values. 6. Promote good design of all modern buildings. 7. Glen Eden town centre will be designed to ensure that it meets the needs of people with disabilities. 1. The WRLB will encourage good relationships with government agencies, Auckland Council organisations, civil society organisations and the private sector. 2. WRLB will promote public consultation in Glen Eden on policies, plans and programmes. 3. The social sector will be promoted through a community development process of community engagement, social capital and through the provision of financial and other support. 4. Social facilities will be established to meet the needs of a growing and changing population due to intensification and in-migration. 5. The WRLB will support efforts by social agencies to deal with social issues such as homelessness and begging. 6. The WRLB supports the concept of child-friendly cities and age-friendly cities in relation to Glen Eden. 7. The WRLB supports use of the principles of “Crime Prevention Through Environmental Design” (CPTED) advocated in the Auckland Council Design Manual. 8. The WRLB will discourage forms of gentrification that displace existing residents. This might include advocacy to retain existing social housing in public and community ownership, and encouraging developers to incorporate social housing within their housing developments. 1. The WRLB will liaise with tangata whenua concerning issues of relevance to them. This will include supporting capacity building of Maori organisations that provide housing, educational and social services; rangatahi development; support employment and enterprise development; and integrate Maori space and cultural expressions into place making. 2. The WRLB recognises the important work of the Hoani Waititi Marae and Te Whanau o Waipareira Trust. 3. The WRLB will protect the important cultural heritage within the district. 4. Recognising the multicultural population of Glen Eden, cultural events will be promoted and supported. 5. The WRLB will encourage greater public use of the Glen Eden Playhouse Theatre. 1. The WRLB recognises the important economic and employment contribution of small businesses in the district. 2. The WRLB will liaise with retailers in the upgrade of the town centre and support initiatives that reduce risks from petty crime and promote public safety. 1. Green spaces will be provided within the upgrade of the town centre. 2. Recognise the contribution that green space/trees make towards mental health and wellbeing. 3. The WRLB will ensure there are adequate green spaces to cater for any population increases. 4. Existing natural areas will be enhanced and protected. Comments to this post are open. Or alternatively email me.